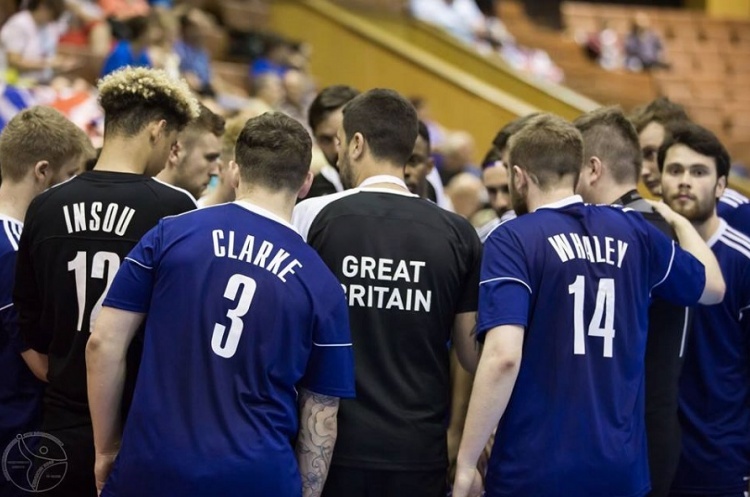 GB lost their second IHF Emerging Nations tournament group game against Georgia 26-34. After their opening win against Malta, GB faced a stern challenge against the more experienced Georgians. GB made a slow start, struggling to get into their rhythm, and after 15 minutes were 10-4 down. Matters got worse as Georgia stretched their lead to 13-6. GB dug deep and scored three without reply to pull the score back to 13-9. However Georgia regained the initiative and reached the break 17-11 up. GB team made a disastrous start to the second half, conceding five straight goals as Georgia took a 22-11 lead, and then stretched this further to 26-14. However the young GB team again showed great strength of character, closing the gap to seven goals to 28-21. GB continued to hold their own in the closing stages and will draw positives from their battling performance. Brian Lindsay was again GB’s top scorer with six goals, while Tomeu got five and Klaening an impressive four from five shots. The result leaves GB in third spot in group B, behind Georgia and table-toppers Luxembourg- who they play in their final group game on Wednesday, at 16.00 (UK time).